Need bars to stick in backpacks, purses, pool bags, or desk drawers? 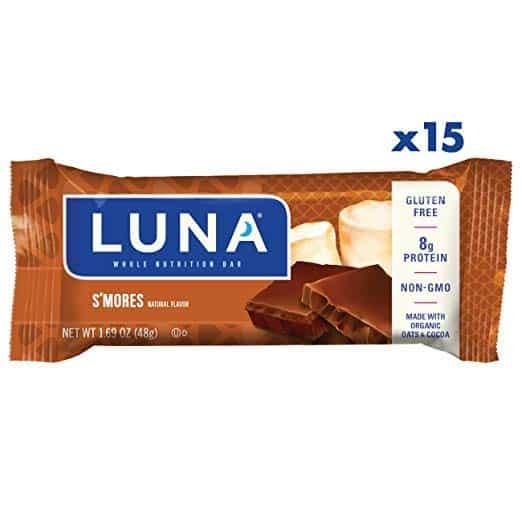 Here’s a fabulous price on Luna Bars! Pay just $9.50 or $0.63/bar! Want to save even more? Save an additional 15% when you select Subscribe and Save and add 5 Subscribe and Save items to your order. If you add all 5 items, your new price will be $0.54/bar! Need help getting to 5 Subscribe and Save items? Check out my list of items $5 and under. Previous Post: « Organic Cotton Maxi Dress $38.19!